The authorities of Thu Duc district yesterday said it planned to revoke government land, especially land in large area for building schools and parks. 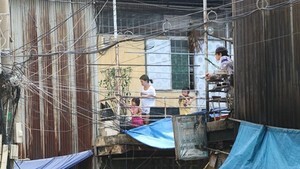 At the meeting with inspectors from the Ho Chi Minh City People’s Council, the Thu Duc authorities said it has taken the decision in the wake of shortage of government land in the district for public purposes. Accordingly, a 2.2 hectare land in Binh Chieu ward which used to be zoned to be residential quarter will be location of two educational facilities, one is high schools and one primary school. The two schools were built and they will be put into use soon. 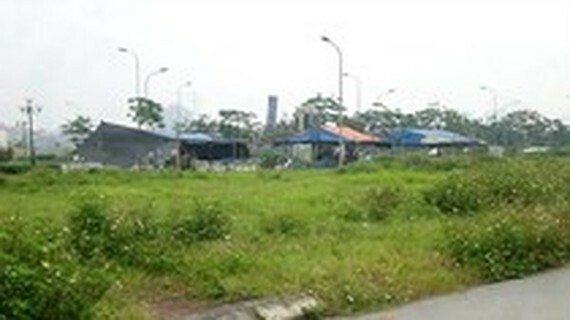 Another empty land after the Cultural House of the ward, it is zoned for building a school because many immigrants in the ward are workers of industrial parks Linh Trung 1 and 2 and export processing zone Binh Chieu. Their kids need to be sent to educational institutions. Next to the Cultural House is a 5,000 square meter empty land which will be converted into a park for children in the ward to play. Moreover, the Department of Transport is clearing and leveling the 2.3 hectare land in Linh Xuan Ward before building a park here. Deputy Chairman of Thu Duc People’s Committee said that several government land areas are used in wrong purpose; accordingly, he proposed the Department of Environment and Natural Resources in coordination with district inspectors organized an inspection to handle these cases.